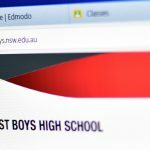 It is with great pleasure that I welcome you to the Normanhurst Boys High School website. As you explore its pages, either as a prospective student, a prospective parent or as an interested member of the community, I hope you will gain a sense of what a very special school this is; a place that is a dynamic, progressive and vibrant learning community. The school became fully selective in 1994, and has continued to build upon its strong academic base, achieving outstanding results in the School Certificate and Higher School Certificate Examination. Our students consistently achieve results that place them in the top range of all schools, both government and private. We offer a comprehensive and challenging curriculum which caters to the needs and interests of our students. Our team of experienced and dedicated teachers focuses upon quality teaching with a particular emphasis upon strategies to address the needs of gifted and talented students in a boys’ school context. Since its foundation in 1958, our school has gained a fine reputation for providing quality education for boys, embracing the concept of a holistic education both in theme and delivery. At Normanhurst Boys, each student is encouraged to “set the bar high” in all areas of school life – academically, in extra curricular activities and in developing the values and attitudes that will enable him to make an outstanding contribution as a leader in society. A rich extracurricular program and a supportive, inclusive welfare policy are in place to ensure that the physical, social and emotional needs of each student are catered for. Our school motto, Know Thyself, reflects the idea that within each individual lies the capacity for self discovery. At Normanhurst, we encourage each student to recognise both his strengths and weaknesses, and in doing so be able to establish the navigation points that will lead to personal growth and the fulfillment of potential. I am very proud to be leading Normanhurst Boys High School. Thank you for showing an interest in our school and I look forward to personally welcoming you at some time in the not too distant future.